In the post-holiday season, I always feel a bit happy to be free of heavy treats but also a bit devoid of home-made snacks. The cookies have disappeared, the vegetables have returned with a vengeance, and there's no tins or tupperware on the county containing sweet or salty snack food. Sitting in the house brainstorming something fun to snack on that wasn't baby carrots, I was reminiscing eating gobs of cereal snack mix that my grandmother always made when we visited. 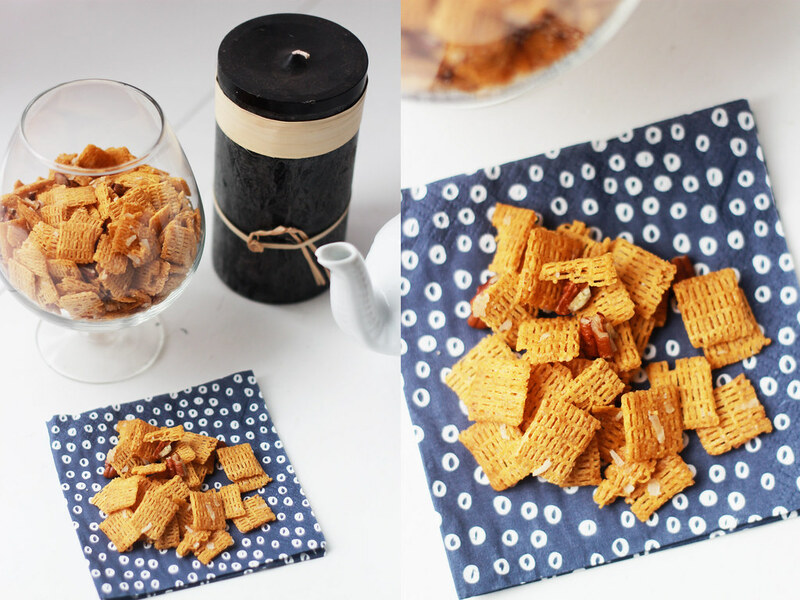 It always felt special to get a little dish full of snack mix and do a puzzle over the kitchen island. I think it's probably one of my very distinct travel memories - my grandmother's snacks and her puzzles in the kitchen. I am pretty sure my back pain exists because I spent so long leaning over the island trying to put edge pieces together. 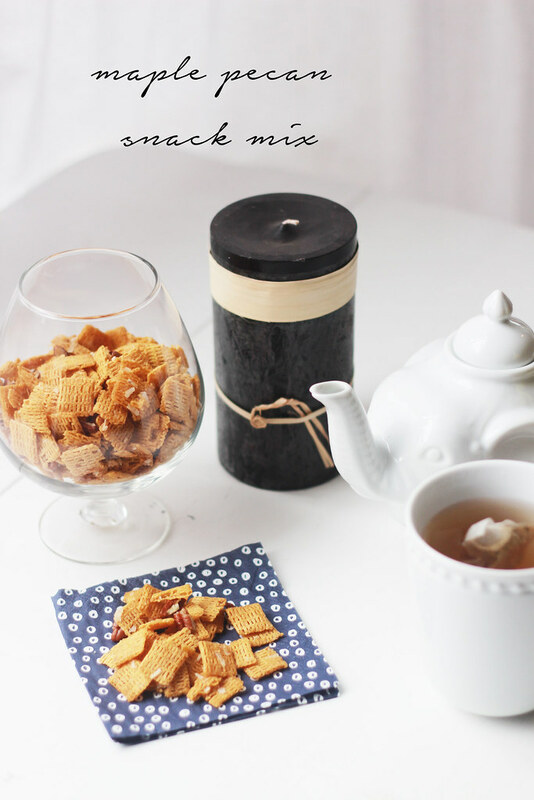 Before today, I had never tried to make a cereal snack mix of my own and decided to try my hand at a sweet alternative instead of salty (we've been feeling loaded down with salt lately). One of Ben's favorite cereals (and one we can't even have around because he eats too much of it) is Quaker® Life. 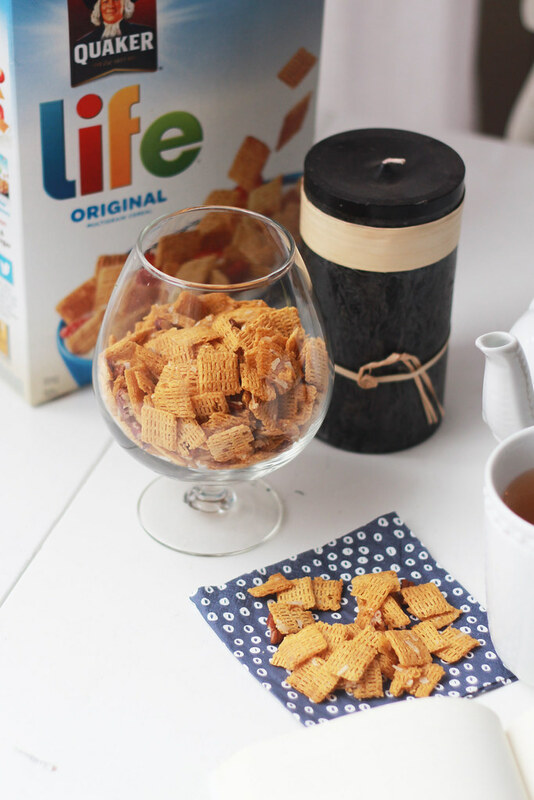 In order to give Ben only one bowl and repurpose the rest for snack mix, we picked up some Quaker® Life and a ton of other simple baking ingredients at Walmart and I got to snacking. Keep on reading for the recipe and to get something delicious on your counter. As a bonus, this recipe doesn't use the traditional corn syrup, sugar and butter/margarine drizzle that most snack mixes use. 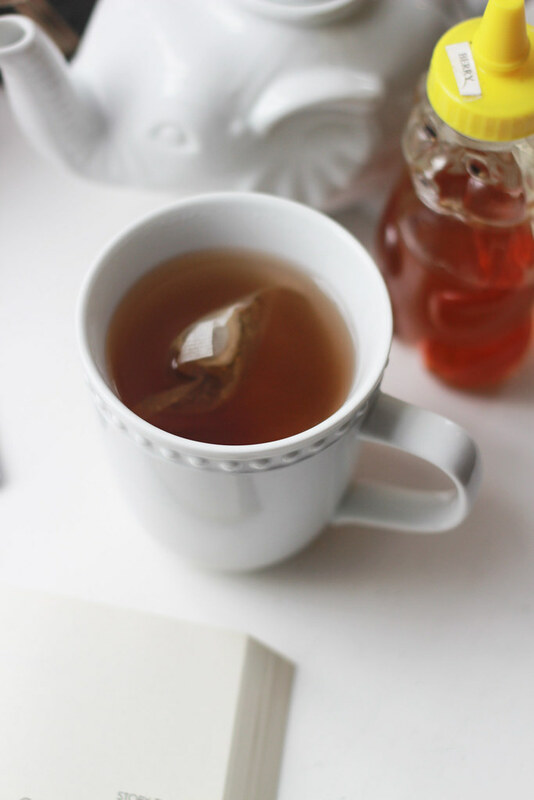 It relies on maple syrup, nuts, and coconut flakes for a better-for-you alternative! Preheat oven to 250 degrees. Grease a 13"x9" baking dish (2" high or more) with butter or cooking spray. Combine Quaker® Life cereal, pecans, and shredded coconut in baking dish. In a small bowl, combine maple syrup, vanilla, and melted butter. Drizzle syrup and butter mixture over cereal and mix well. Bake for 45 minutes or until toasted, stirring every 15 minutes. Let mix cool on a baking sheet covered in wax paper and store in an airtight container. What are your favorite snack mixes? I'm inspired to make more now and bring them to work for easy, mid-day snacking (that isn't chips or cheezits - a real problem at my workplace)! I love these kinds of mixes. My mom uses Chex because it's gluten free so we always have it in the house. I'm going to send her this recipe! 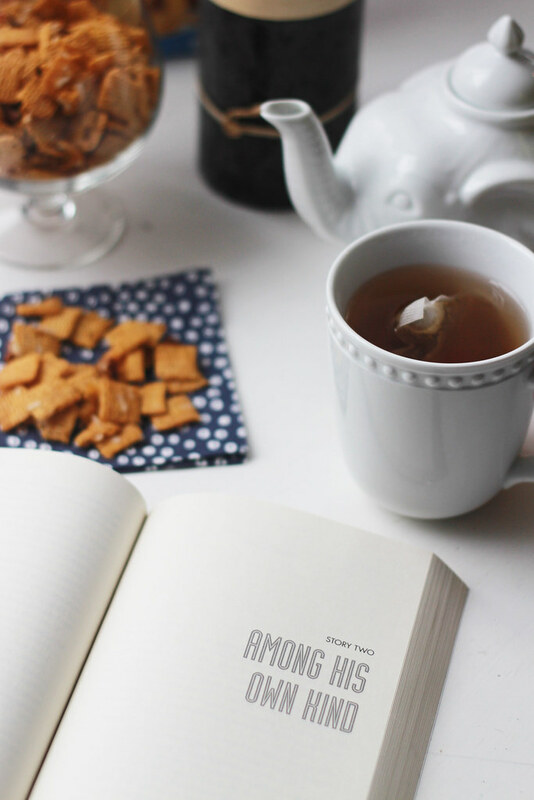 Can we have a book reading, tea tricking, snack eating date soon?? Looks great! I bet my kids would love this too! I love how you portion controlled it into a snifter glass! 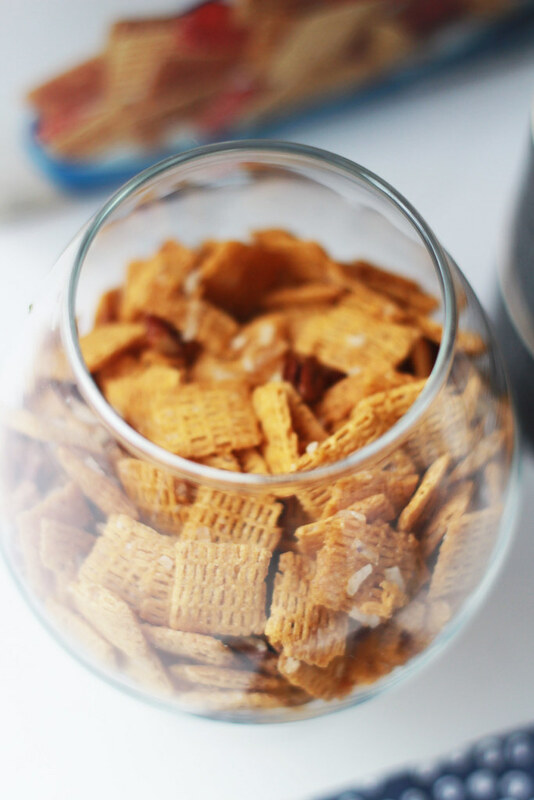 A good twist on the regular chex mix! Fun! I was seriously obsessed with Life as a kid--what a fun twist! I might have to bring the cereal back into my life :) Thanks for sharing! Yum! What a great snack!